BALTIMORE -- Victims in the case of a Johns Hopkins gynecologist who was caught secretly videotaping his victims will soon learn their settlement amounts, CBS Baltimore reports. 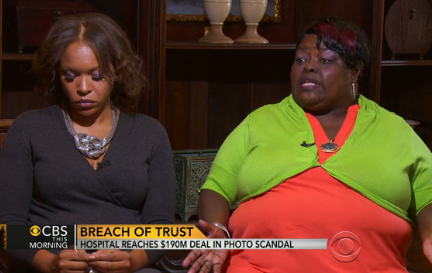 Johns Hopkins has agreed to pay out $190 million between 8,500 victims. Victims were individually interviewed and categorized based on the damage inflicted. The payouts range from $1,750 to $26,000. WBAL-TV reports that determination letters have been sent to the approximately 9,600 women who said they were victimized by Dr. Nikita Levy at a Johns Hopkins-affiliated clinic in Baltimore. More than 5,500 women will each receive at least $20,000 as part of a $190 million settlement with the hospital system. Settlement administrators did not return the television station’s calls Thursday to confirm the amounts awarded. Levy, who worked at Hopkins for 25 years, was discovered by a suspicious co-worker at his East Baltimore clinic, which reported him to hospital officials. Levy killed himself in 2013 after the allegations emerged. Johns Hopkins Hospital agreed to the $190 million settlement in 2014. The settlement was the largest in U.S. history that involved a single sexual predator, CBS Baltimore reported.